Christmas never really did much for me. Maybe when I was a kid, sure, but over the years, I usually just offered to work so someone else could have the day off. But other people like Christmas, so I try to not say anything negative about our holiest most consumer-driven holiday. This year, though, I thought I’d try something different. I love novelty. Adrienne is a person who enjoys Christmas and has what many people call “holiday spirit.” While she was away on one of her L.A. trips, I got a tree and some lights and stockings for our small apartment. Thoughtful? Hell yes. 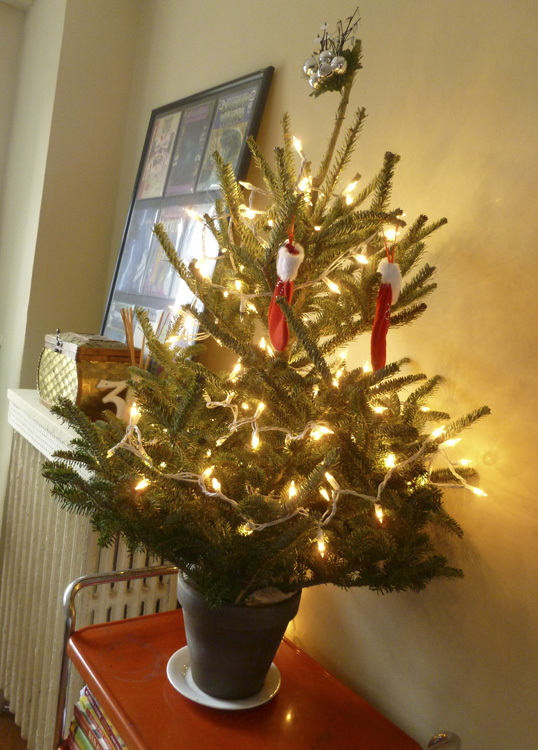 Anyway, I’ve never bought a real tree before, and I learned a few things: They are ridiculously expensive. They are also sticky. By the time I got home with this thing, I was coated in sap, and that sap doesn’t come off with just soap. You need to use a cheese grater to get that gunk off. You will also need a tree stand. Apparently, just leaning it against the wall is a recipe for trouble. Who knew? 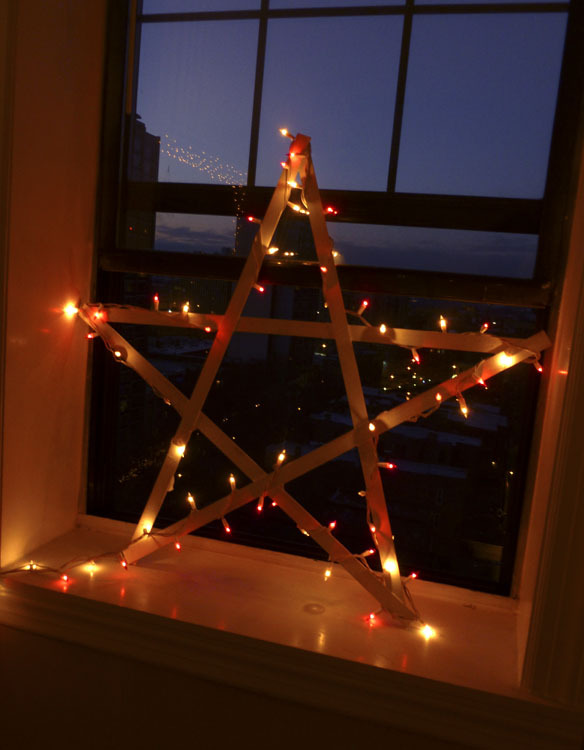 I also built a lighted star thing made out of yardsticks that Adrienne found on the Internet. Joy! 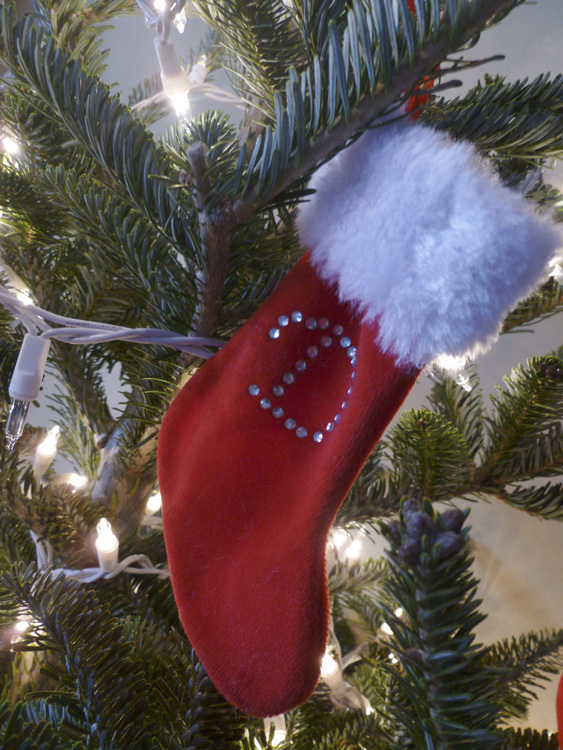 Small stocking hung from the tree with care. With my initial on it. 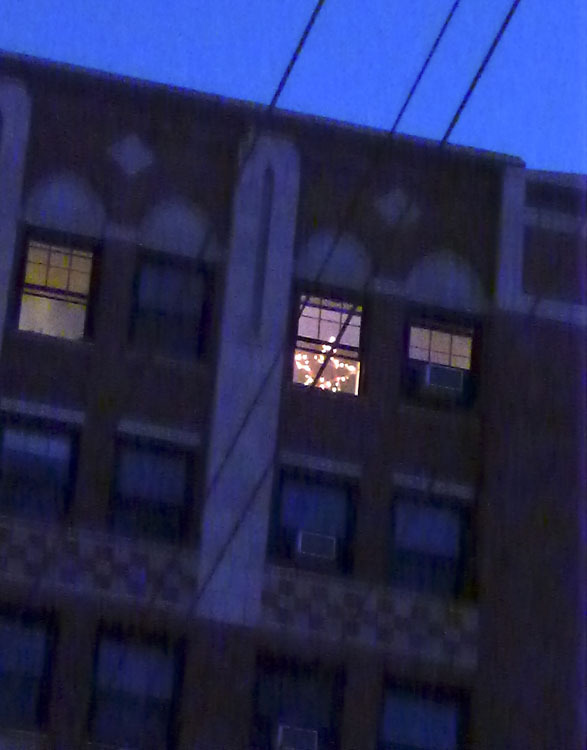 Our very small holiday tree, with both sets of lights. 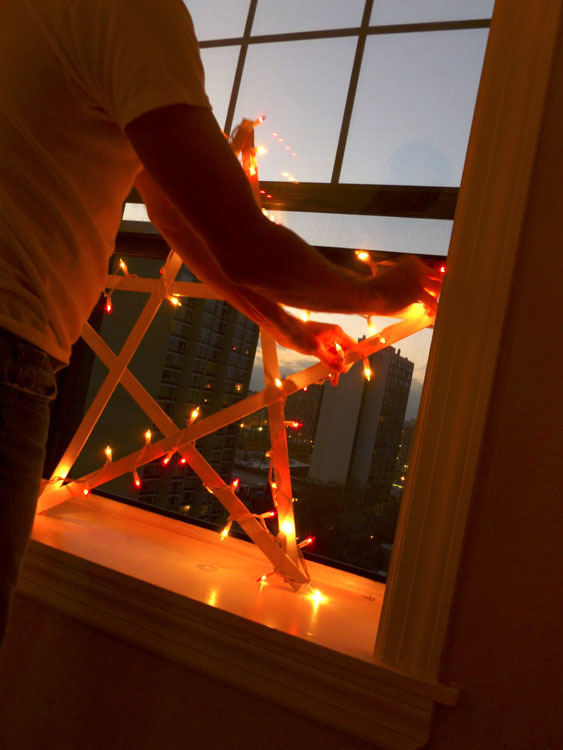 I initially bought only one set of lights, but one set is never enough. 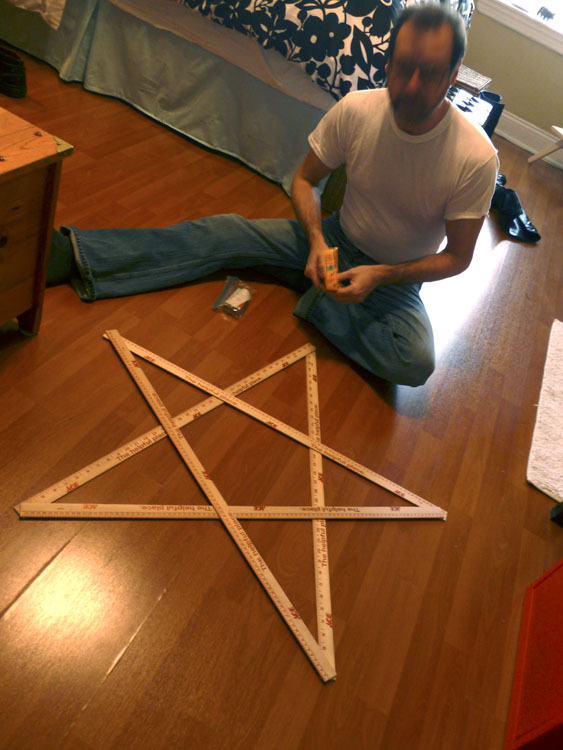 My lighted star project: Staple five yardsticks together in the shape of a star. It will probably be all crooked and wonky. Whatever. 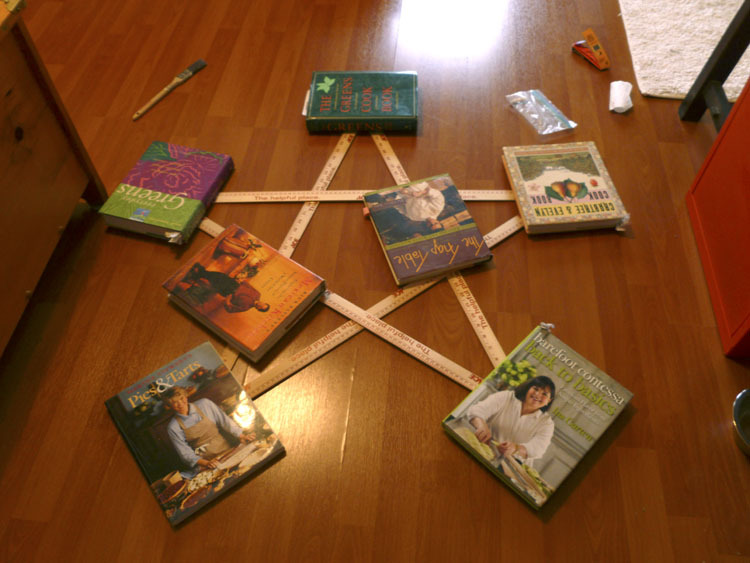 Before stapling, I thought gluing might work better. It doesn't. We happened to have some paint (surprise! 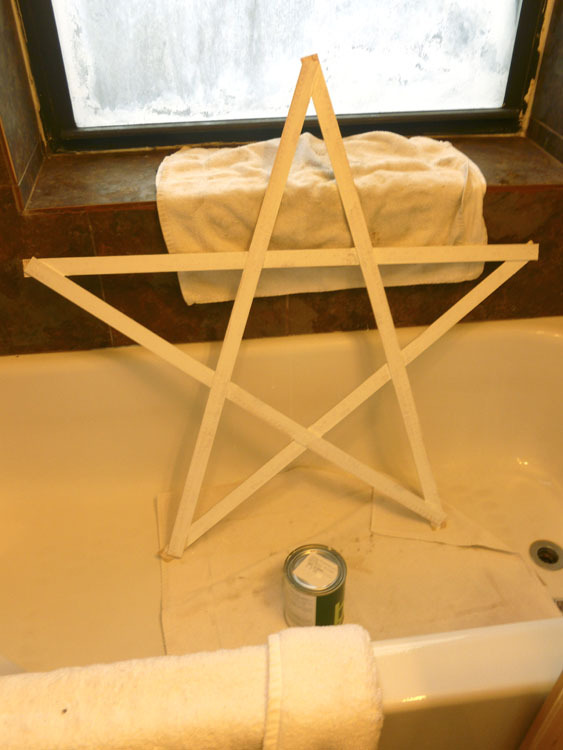 ), so I set this guy up in the bathtub and gave it a good whitewashing. Final step: Wrap some lights around it. Done! How it looks from outside. Fancy. 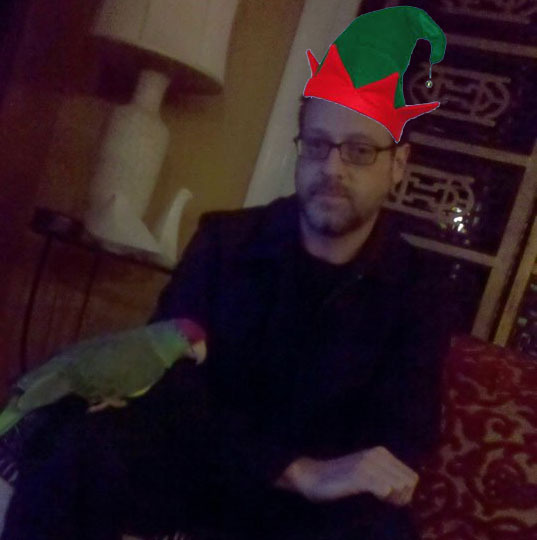 Me and this bird are all about Christmas.